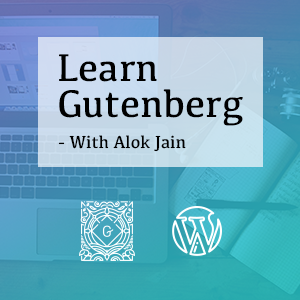 Gutenberg was officially added to WordPress 5.0, making it necessary for all WordPress developers to learn how to build themes and plugins with Gutenberg approach (Yes, you need a different set of tools for coding with Gutenberg). We have the option to keep using old TinyMCE editor by installing it as a plugin. But I don’t think that is going to be a good choice considering the plans WordPress have about integrating Gutenberg Blocks with widgets and theme customizer etc. The whole learning process, however, is fun, because you get to learn a lot of things. I will recommend you to start with learning ESNext and React.js (if you are not already familiar with these. You can find a few courses at scrimba.com, they will help you get started quickly). I enjoyed learning Gutenberg, but it was also a bit hard because information is scattered around the internet and hard to find yet. So I decided to write this series of articles covering almost every aspect of building Gutenberg blocks and their integration in themes. Join our newsletter to get notified when new articles are added to this series, or follow me on twitter for updates.